Previous leaks and rumours have suggested that Motorola plans to launch multiple smartphones this year. Citing Wi-Fi certification pages, a recent report further cemented the rumours of the company planning to launch as many as seven new handsets. Out of these, the alleged Moto X (2017) was recently showcased behind closed doors in a presentation. But someone managed to shoot a small video of the presentation and posted it on CHinese social networking website Baidu. The 9-second long video shows the smartphone sporting a metal and 3D glass build, with a circular enclosure at the back having the dual-rear camera and dual-LED flash. The handset will be likely IP68 rated for water and dust resistance, as per the video. Also mentioned is ‘AI Integration’ feature, along with ‘Always-On Voice’ and ‘Turbocharging’ technology. According to some Reddit users, the audio during the presentation referred to 5.5-inch display with 3D glass and a Qualcomm Snapdragon 660 SoC, which was launched a few days ago. The smartphone is also said to come with 4GB of RAM and 64GB of internal storage. There could be a fingerprint sensor at the front, along with a 3,800mAh battery. MotoMods will also be supported. 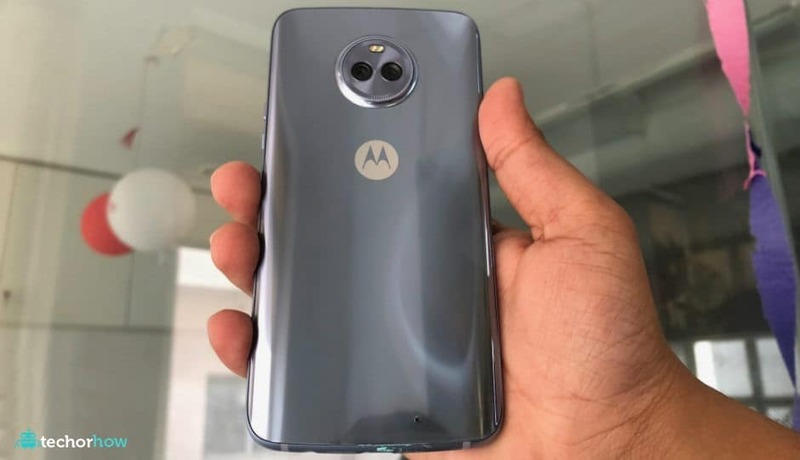 While this is just the rumoured spec sheet of the ‘Moto X (2017)’ smartphone, noted smartphone tipster Evan Blass (@evleaks) has already outed the alleged official name of the smartphone – Moto X4.. Blass tweeted an image that has Moto X4 as the name of the smartphone. There’s no word about the price and availability. The aforementioned Moto X handset could be one of the seven Motorola devices that recently received Wi-Fi certification . These seven devices are reported to have codenames XT1770, XT1772, XT1773, XT1724, XT1725, XT1726 and XT1721. The report also claimed that all the devices run on a MediaTek 6737 quad-core SoC.